This year, we are launching the HLA 56 – a lightweight and well-balanced cordless long-reach hedge trimmer, which is part of the COMPACT Cordless battery system. 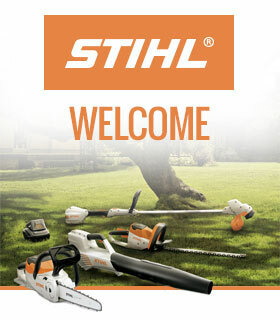 The COMPACT Cordless System is the perfect range of battery-powered tools for you if you have a medium to large garden. 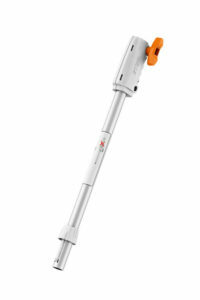 All of which are lightweight and easy to use but with enough power to get the job done quickly and quietly. 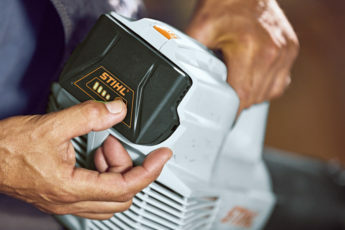 And what’s more, the batteries are all interchangeable and can be used in other tools in the range so once you’ve finished with the HLA 56, you can easily swap the battery into a new tool, like the blower to help tidy up! The HLA 56 is just the tool you need for cutting taller hedges and shrubs in the garden – it’s 210cm long, but there is also an additional 50 cm extension shaft available as an accessory if you still need some extra height. 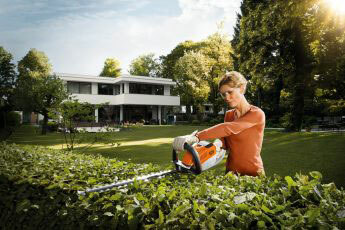 It makes it easier to trim wider hedges too with no awkward reaching or leaning over! And it’s exceptionally light, weighing in at just 3.8kg without the battery. 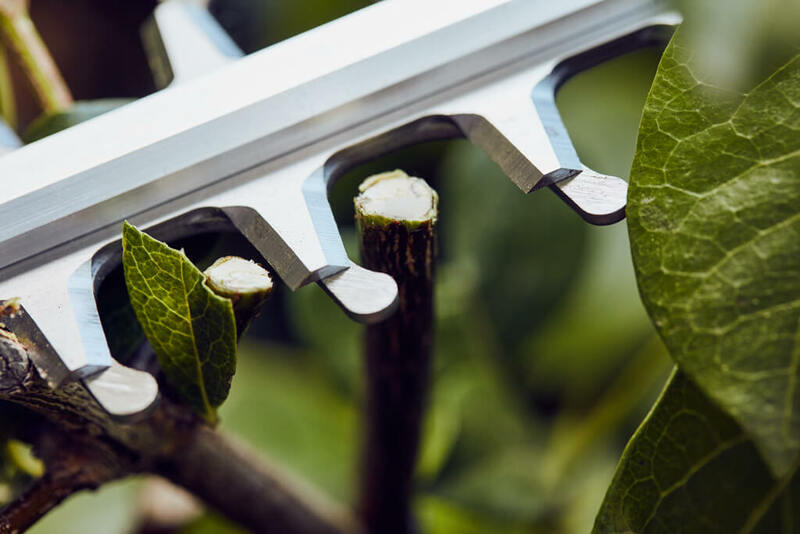 The HLA 56 has double-sided blades with a droplet shape on the end of each tooth to help guide hedge material towards the cutters. The cutter bar is 45cm long with 30mm tooth spacing. 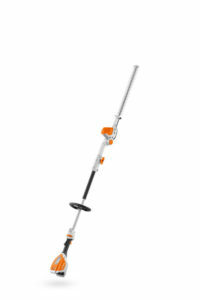 This is ideal for trimming annual growth and overgrown hedges with branches up to around 16mm. That covers most traditional British hedges like laurel, yew, hornbeam, buxus and beech. The adjustable head is easy to rotate and is designed for cutting at angles ranging from -45° to +90°. That means you can shape the hedge to a professional finish with hardly any effort, but also angle the hedge trimmer head so you can stand back a little and see what you are doing to make sure you achieve a neat, straight cut. We recommend that you use the HLA 56 with the AK 20 battery, which will give you an impressive 80 minutes of battery run time. It has been designed to be perfectly balanced with the AK 20, but you can also use the AK10 battery (which gives you up to 40 minutes run time) or the higher capacity AK 30 battery (which gives you up to 120 minutes run time) so you can choose which battery suits you and your garden. The Recommended Retail Price for the HLA 56 is £199 for the tool only, or £329 with the AK 20 battery and AL 101 charger.